With the second problem, the malfunctioning results in very choppy scrolling, in the app drawer or in Twitter applications such as TweetDeck. Frequently the touchscreen will register a brushing touch as a press, and will select whatever your finger happened to be passing over at the time. This leads to unwanted opening of applications when scrolling through your app drawer. 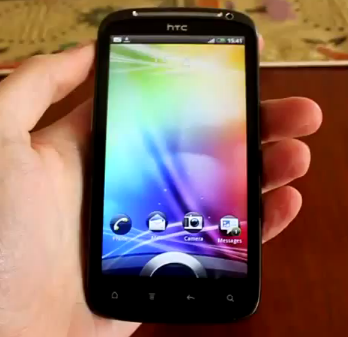 The touchscreen's aberrant behaviour also makes it very difficult to unlock the touchscreen in a swift, natural motion. The unlocking gesture must be done very slowly and deliberately to avoid failure. As you can see in the video above, the issue is sporadic in that it can come and go. Restarting the phone sometimes fixes the problem but it will always come back eventually. So, we'd like to know if any of the other new Sensation owners out there experiencing this issue, or is ours just a funky unit? In case you're wondering, we have not had any signal issues with our Sensation. However, there is a bugs thread on XDA that is filling up nicely.